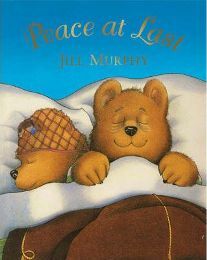 ‘Peace at Last’ is a lovely picture book written and illustrated by Jill Murphy. 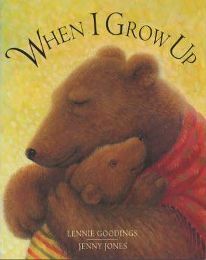 It tells the story of a family of bears and what happened one night when Mr Bear found it difficult to sleep! It all starts well enough for Mr Bear – all the family are tired and all go up to bed. Mr and Mrs Bear get into bed together and we are treated to a lovely picture of the two bears – one fast asleep and the other wide awake! Why, you might ask, can’t Mr Bear sleep?